Happy Monday PISO FARE friends! We have a new airline seat sale 2017 for select local and international trips! Domestic promo tickets are valid trips for June 15-30, July, August, September 2017 while foreign travel sale are for July to September 2017 flights. As low as P599 promo fares are available for booking to domestic routes from Cebu. Fly as low as P799 from Cagayan De Oro, Clark, Davao and Cebu. Travel from Manila to select destinations in Luzon and Visayas for P1,099. Hongkong promo tickets cost P1,299. Other low fares to international routes like P2,599, P3,999 are up for booking too. See below sample ticket we got via online booking to prove that this seat sale is legit. Sale tickets are good for one-way trips. Inclusion: 7 kilos hand carry bag, base fare, Web Admin Fee, taxes and fees. 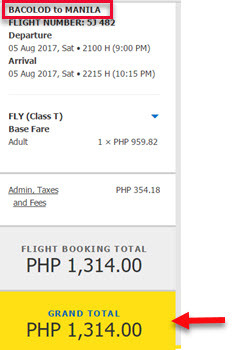 Domestic terminal fee from Manila, Cebu and Caticlan are included in the ticket price. Get the Cebu Pacific promo fares by booking online at www.cebupacificair.com or buy the tickets at Cebu Pacific ticket offices, accredited travel agencies and booking offices. For any inquiry or concern, kindly contact Cebu Pacific hotline in Manila at phone number: (02) 702 0888 or in Cebu; (032) 230 8888. 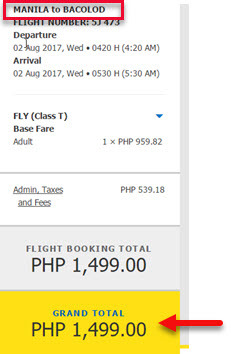 Cebu Pacific sale tickets are limited and may not be available on all travel dates. The low fares are on a First Come, First Serve Basis! 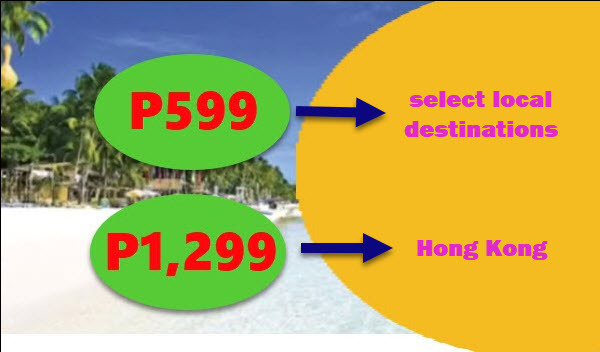 Need more promo fares and seat sale by the airlines companies in the Philippines? LIKE and FOLLOW our Facebook: PISO FARE TICKET!! !